KC First Aid offers three different Basic Life Support (BLS) Certification classes. BLS is a level care which patients will receive in an emergency. Whether you work in the medical industry, are in school to become a nurse or physician, or are an Emergency Medical Technician, police officer, or firefighter, when you get BLS certified you can show your employer that you have the training you need to improve patient outcomes. KC First Aid’s BLS Certification offers a Healthcare Professional Course for those who work in a medical setting, BLS for Healthcare Providers Cardiopulmonary Resuscitation (CPR) Online Renewal Course, and Skills Test for the BLS Certification for Healthcare Providers CPR Online Renewal. KC First Aid’s BLS Certification is thorough and helps make getting your first certification or renewing it easy. The American Heart Association Healthcare Provider Course is designed to teach the skills of CPR for victims of all ages. Other skills include ventilation with a barrier device, a bag-mask device, use of an automated external defibrillator (AED), and relief of a foreign-body airway obstruction. It is intended for participants who provide healthcare to patients in a wide variety of settings. There is no prerequisite. This course is for first-time students or if your certification has expired. 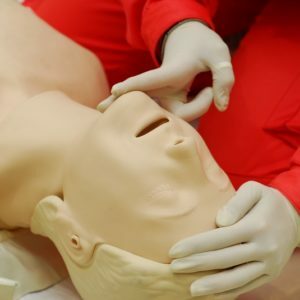 This course take three to four hours, and when completed, participants will receive an American Heart Association BLS Certification for Healthcare Providers CPR/AED course completion card which is valid for two years. 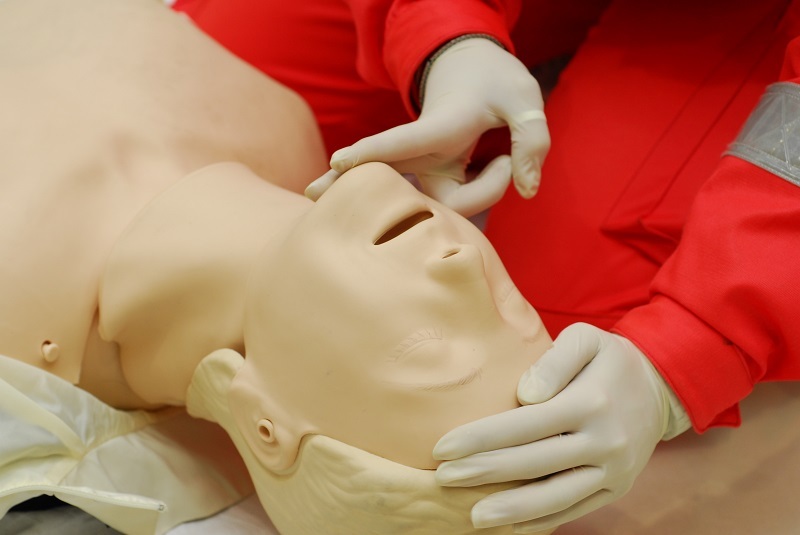 The American Heart Association BLS Certification for Healthcare Providers Online Renewal course is designed specifically for experienced healthcare providers who have prior CPR training and need recertification. The online course provides the opportunity to refresh skills and recertify without having to take the full content course in a traditional classroom. The Skills Evaluation for the American Heart Association BLS Certification for Healthcare Providers Online Renewal course involves hands-on scenarios in a classroom. Successful completion enables you to receive a new course completion card. Prerequisite: Completion of the BLS for Healthcare Providers Online Renewal and a current BLS for Healthcare Providers course completion card. This course is right for you if you want to renew your skills partly online and partly in a classroom. For more information about any of these classes and the class schedule, call KC First Aid at (913) 980-5245 or email customerservice@kcfirstaid.com.